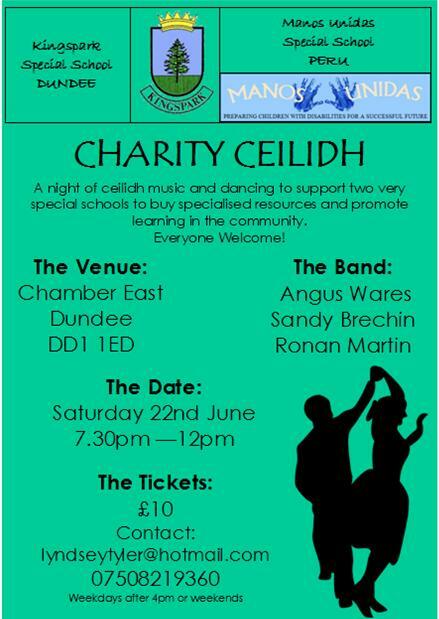 Come along tomorrow (June 22nd) to the charity ceilidh Lyndsey has organised for very good causes to raise money for 2 special schools, one in Dundee the other in Cusco. It’s at Chamber East ( see poster) £10 a ticket, pay on door. Email lyndseytyler@hotmail.com for more info & tickets.